What were professional counselors reading at CT Online in 2016? The year’s most popular new posts ran the gamut, from articles on attention-deficit/hyperactivity disorder to technology to issues surrounding multiculturalism and social justice. 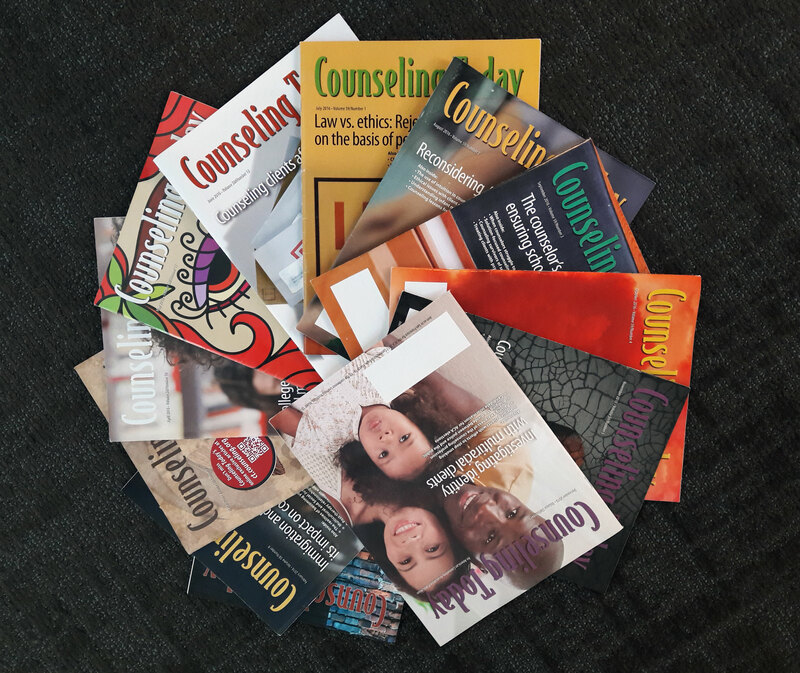 More than 150 articles, both online-exclusive pieces and articles that also appeared in Counseling Today’s print magazine, were posted at ct.counseling.org in 2016. Yet another model of counseling? I would have asked the same question before my introduction some years ago to acceptance and commitment therapy (ACT, and pronounced as the word, act). It is a model that stands on the shoulders of long-endorsed approaches to counseling, yet it takes these ideas into new and, I believe, more fruitful directions. So, if you’ll share with me a few minutes of your time, I’d love to introduce this intriguing model for clinical work. Maybe, like me, you’ll find this worth a closer look. ACT actually evolved from behaviorism, although it is far from the old stereotypes of behavioral therapy. It draws largely on insights from a branch of behavioral research into language called relational frame theory (RFT). This fascinating approach concerns how our “languaging” about things can cause and perpetuate emotional distress. RFT is a bit difficult to understand, but ACT is like operating a car: You can drive it without understanding all that is going on “under the hood.” (By the way, my use of metaphors is deliberate. Part of RFT shows how metaphors are very beneficial in helping us understand and change how we see things.) One can be a competent ACT therapist without being an expert in RFT. ACT also draws from cognitive behavior therapy (CBT) but pursues goals that are quite distinct. Although thoughts and language play a role in ACT, ACT does not share CBT’s focus on disputing the thoughts rationally. Rather, the goal is to form a different relationship with one’s thoughts. I’ll share more on that a bit later. In keeping with its heritage, ACT is built on empirical research and boasts a bevy of studies showing its effectiveness across a wide spectrum of problems. More than 120 randomized trials have shown it to be as effective, if not more effective, than traditional therapies. Counselors can utilize ACT with confidence that it can help. One encouraging note is that studies show that counselors starting out in ACT generally feel less confident than they do with CBT but see better results. One of the attractions of ACT is that it is transdiagnostic. That is, it works across diagnoses and does not make much of traditional diagnostic categories. In the counseling world, the idea of diagnosis is being increasingly questioned, particularly because of the overlap of symptoms and the lack of discrete categories. Earlier efforts to find empirical support for counseling models focused on identifying specific therapies for each diagnosis. That is a challenge given that comorbidity is more the rule than the exception in diagnosis. The search is now on for the core processes that account for emotional suffering rather than just naming more and more diagnostic categories. ACT enters this debate by suggesting a core concept that produces suffering across many diagnoses: psychological inflexibility. ACT argues that some pain, including emotional pain, is natural and inevitable in life. ACT authors somewhat mischievously refer to counseling that tries to help clients never to feel any anxiety or sadness as pursuing “dead person’s goals.” These clients become intent on avoiding all suffering and discomfort, and in so doing become “stuck” in their thinking, feeling and behavior. They thus spend their days trying to avoid discomfort that is inevitable in life. This paradoxically results in more suffering and a tightening of the pattern’s grip — much like trying to escape from a Chinese finger trap. The more effort that is spent on trying to avoid pain, the more pain it causes. This “control” agenda is in reality hopeless. Only a dead person experiences no unpleasant emotions, so a different approach is needed. An example might illustrate further. Juanita is depressed and feels ignored in all social situations. To avoid the resultant pain, she begins staying home and watching television by herself. Although this allows her to avoid the anxiety of being in social situations, Juanita is stuck because she lacks the social relationships that she needs. Her anxiety of being “out there” is replaced with the more intense loneliness and depression of avoiding people. 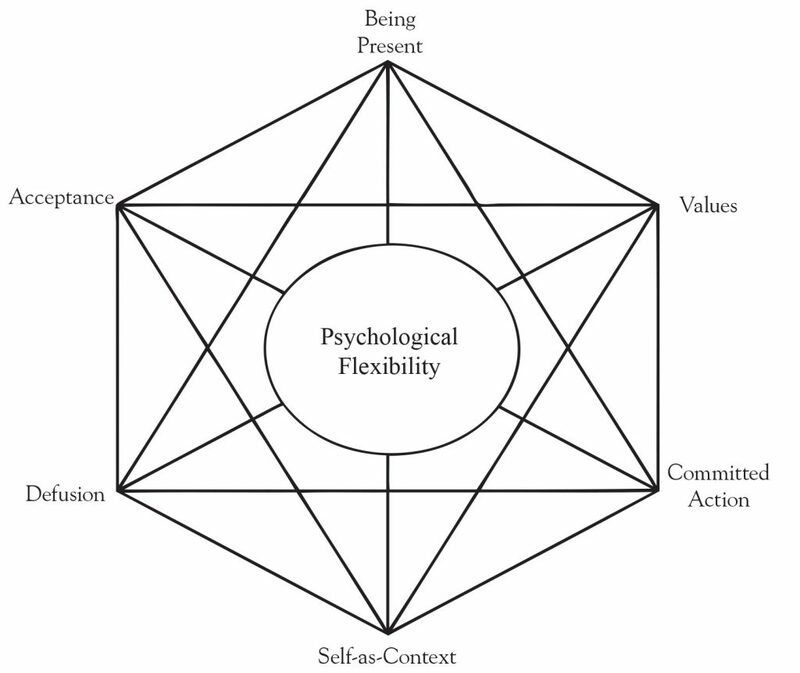 In contrast, psychological flexibility involves a person’s skill in adapting cognitive processes and behavior to the specific context that he or she is facing and to contact the positive consequences of present actions as part of pursuing a valued path (adapted from Steven C. Hayes, Kirk D. Strosahl and Kelly G. Wilson, 2012). It requires flexible attention to the present moment and acceptance of some suffering, combined with a commitment to pursue values and the behavioral activation processes to do so. For Juanita, psychological flexibility would mean examining her thought process, accepting the apprehension that comes with stepping into social situations and moving toward, rather than away from, those situations. She would learn skills for defusing her thoughts from those social situations, accepting the inevitable anxiety and stepping into occasions so that she can build the relationships she values. This style is marked by looking at things as they are and not reflexively making unhelpful associations. The skills that constitute this style are defusion and experiential acceptance. The first component, defusion, is one of the most difficult constructs in ACT and the most dependent on RFT. Skipping the technical explanations for our purposes, ACT sees comprehension of how we become fused to certain understandings of things and how we react to those understandings as being vital to change. People with obsessive-compulsive disorder might fuse the idea that anything they think must be true with a thought that they might kill someone. As a result, the mere thought that they might hurt someone else is tantamount to actually having evil intent in their core being and makes them a murderer. Obviously, this causes distress. CBT might address this through a logical disputation of the irrational thought. In contrast, ACT teaches an awareness of this process and defuses the thought from the interpretation. One can look at one’s thoughts rather than from them. A simple first intervention might be to have the counselee replace “I must be a murderer at heart” with “I had the thought that I might hurt someone.” In so doing, the person moves “from” the thought and seeing it as a statement of fact to seeing it merely as a passing idea in the mind. The popular “leaves on a stream” mindfulness exercise is helpful here too, with the person viewing thoughts as leaves to be observed and then released. The counselee thus learns to defuse rather than to debate. A phrase I often offer to counselees at this point is “You don’t have to believe everything you think” or, even simpler, “Thoughts aren’t facts.” The same approach also can be used with emotions. The second component of the open response style is acceptance. In general, this term refers to an openness to accept things such as unpleasant thoughts or feelings. But in ACT, a more precise term would be willingness — the individual is willing to accept some thoughts and feelings in pursuit of a greater good. A familiar illustration of this idea is the fitness mantra of “no pain, no gain.” Counselees often chuckle when I suggest that I want to lose weight without sweating or working out. They are aware that getting in better shape requires some discomfort. This allows me to ask a question: Why wouldn’t the same be true of mental health? Numerous ACT metaphors illustrate this idea, but one of the simplest is the ball in the pool. Imagine that you have a beach ball in the pool with you. It annoys you, and you want it out of sight. You hold it underwater so that you don’t see it. That solves the problem in a way, but you also lose the mobility to do most of the fun things you normally do in a pool. Controlling the ball is so “expensive” that it costs you the pleasures of swimming. But if you are willing to accept the annoyance of the ball, you can reengage with the delights of life in the pool. An internet search of “ACT metaphor videos” will yield some short, clever resources that are very helpful in communicating these points to clients. Now consider this as it relates to Juanita. You work with her to realize that her control agenda of avoiding all pain won’t work, so she is open to ACT. She is fused to the thought that whenever she goes to a social setting, she is shunned. Rather than argue with her about the objective truth of the thought, you guide her to realize that this is simply a thought. She need not hold on to it so tightly. It is much like the beach ball metaphor. If Juanita can accept this thought in the background, she is freer to move toward people and relationships. In the center of the hexaflex (conveniently enough) are the two skills that constitute this vital part of psychological flexibility. The two skills that keep one centered in responding to one’s immediate context are contact with the present moment (being present) and self-as-context. Present moment awareness, the third element of the hexaflex, likely strikes you as being related to mindfulness, and you are correct. 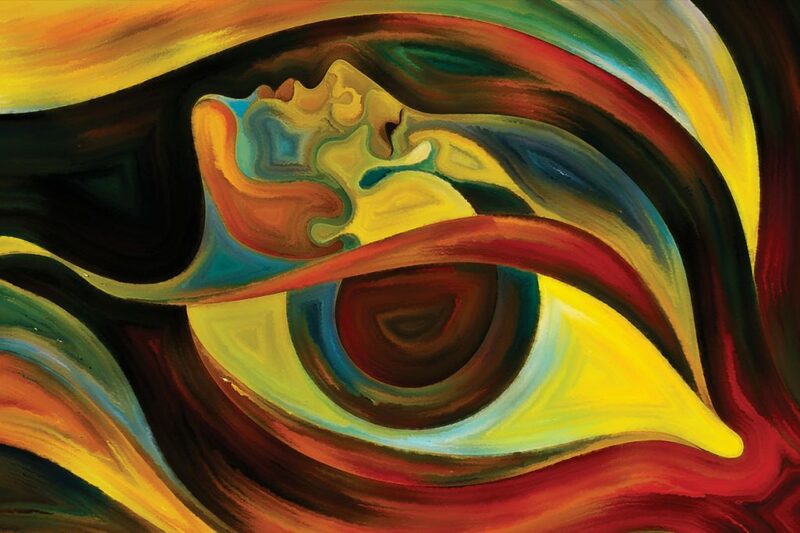 However, mindfulness serves a different purpose in ACT than in other therapies. Whereas mindfulness often is considered a way to decrease stress and induce calm, it plays a different role in ACT. In fact, relaxation may even run counter to ACT’s goal. ACT counselors use mindfulness as a skill to help clients keep in contact with the present moment, even if there is discomfort in it. Much of our thinking gets us lost in the past or anxious about the future, but the only time we can act is in the present. We use many strategies to avoid the present, such as constantly doing something, shifting topics, living in the future through worrying and thinking about everyone else’s business except our own. This shifting of attention away from the here and now serves to avoid discomfort and unwanted emotions even as it perpetuates problems. We need a moment-by-moment awareness of our internal states and external contexts to respond appropriately in the present. 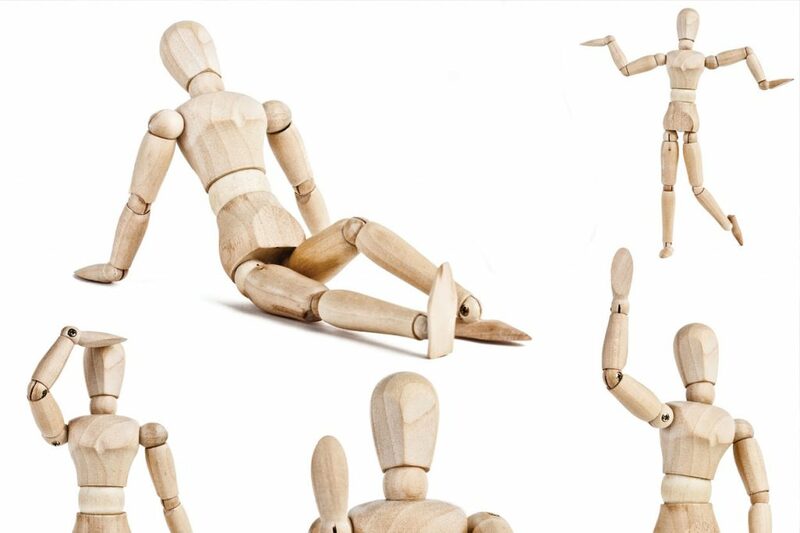 Simple examples of activities for this in ACT include having the counselee relax, close his or her eyes and keep one thought in mind, raising his or her hand whenever the thought slips away. Alternatively, one of my favorites is helping the person become centered, then placing an ice cube in his or her hand (a paper towel is also needed for the inevitable dripping). I then guide the counselee to observe the changing feelings from holding the ice cube — wetness, coolness, maybe a slight burning sensation and so on. This exercise keeps the counselee aware of the present situation and teaches him or her to accept the sensations that accompany it rather than using avoidance strategies. Perhaps the most conceptually challenging dimension of psychological flexibility is self-as-context, the fourth element of the hexaflex. ACT distinguishes several aspects of self. Self as concept is the way we say, “I am …” So I can say, “I am a counselor” or “I am an art enthusiast” and so forth. This can be destructive, however, when it includes statements such as “I am a loser.” We can become fused to such notions of the concept of the self. The self is more than this. It is also the place from which we observe life. Consider yourself in a counseling session. If you are like me, you are largely caught up in the flow of what is happening, but a part of you is simultaneously monitoring progress — observing it rather than participating in it. I catch myself noticing that I’m talking too much, or that my mind is drifting when the counselee talks, or even that the counselee is making poor eye contact or struggling to maintain a stream of thought. So, I simultaneously participate in the interaction and observe it. Once we are aware of this as counselors, we can help our clients develop this vital skill. As we have seen, often clients are fused to their thoughts, and defusion may require the ability to step back and take perspective. People are also often fused to their interpretations of their thoughts (such as Juanita’s fusion to the sense that if people don’t line up to talk to her, it means they are ignoring her). You can learn to listen to how much interpretation people bring to their stories and descriptions. I illustrate this with the example of two broadcasters at a basketball game. One broadcaster, typically designated the play-by-play commentator, describes the action so that listeners have a sense of objective presence at the game. The other broadcaster is a color commentator charged with analyzing and interpreting events. Many of our counseling clients are all color commentator and very little play-by-play. Much of mindfulness in ACT involves learning to be the observer rather than the participant or analyst. A popular metaphor for this is the chessboard (it may be beneficial to have one in your office as you share this with clients). Explain how the black and white chess pieces can represent thoughts in the counselee’s mind. They are battling with each other in different ways and causing distress, much like the little angel and demon that appear on the shoulders of old cartoon characters when they are contemplating an action. Clients identify with this struggle and feel caught up in it. Invite the counselee to consider if there is another participant in this debate/game of chess. The answer is the chessboard itself. Every move affects the chessboard, but the thoughts are not the chessboard. This is the self-as-context. Returning to Juanita, consider what the centered response style would look like for her. As her counselor, you would guide her to greater skill in observing her thoughts (and, yes, this overlaps with defusion). You might begin with exercises to help her monitor her thoughts and feelings in the counseling office to develop better contact with the present moment (this is also helpful should a client wander “out of the office” into other topics, times or places). Then ask Juanita to imagine going to a party. Have her track her thoughts as a play-by-play commentator without attempting to escape or interpret the feelings, developing a better sense of self as the person experiencing the anxiety rather than being hopelessly wrapped up in the anxiety. We have considered the “acceptance” part of ACT, but what of the “commitment” piece? This is the aspect of the psychologically flexible person that pursues valued directions through commitment. One of the costs of avoidance is the loss of pursuing valued things in life. For Juanita, this is obvious. She avoids anxiety, but in the process she does nothing to move toward the relationships that she values. To borrow from our fitness metaphor again, the “gain” of working out is the reason one accepts the associated “pain.” One values fitness and health and understands those things cannot be achieved without doing difficult things to promote and maintain them. The fifth element of the hexaflex is defining valued directions. Clients often are lost in escape and avoidance activities that cost them opportunities to have the things they value. Thus, a child who is afraid at night misses the opportunity for sleepovers with friends, even though he or she would value the fun of being at the friend’s house or, more precisely, the richness of a deeper relationship with the friend. Values are life directions that are global, desired and chosen. They are “bigger” than goals. To illustrate, one may enter a counseling program with the goal of becoming a counselor, but the value behind it is investing one’s life in helping others. ACT offers a number of suggestions for helping clients clarify their values and how their inflexibility is keeping them from pursuing those values. For example, you might ask clients to complete a “heroes worksheet” of people who inspire them or people they would like to emulate. Discuss what about the person speaks to the client. Another helpful technique is to have counselees imagine their 80th birthday party, attended by all the people they love most. Three of the people stand and state words of affirmation about what the counselee has meant to them. Who would those people be? What adjectives, descriptions or accomplishments would they speak about? Values can lead to frustration if not pursued, so the sixth point of the hexaflex is committed action. The counselor helps the client translate values into committed action steps to take. Traditional behavioral activation or motivational interviewing strategies come into play here, with a focus on enduring any suffering the values might entail. Think back to the Olympic Games that took place this past summer. So many of the stories of the successful athletes included conquering hardships, persevering through challenging contexts and overcoming various obstacles. We are well aware that sacrifice is necessary to achieve things in any area. ACT deliberately helps counselees make action plans based on their values and build patterns of action over time. Strategies might include encouraging clients to share their values with others and preparing them to stick to their plans in the midst of the barriers they will encounter along the way. Values and committed action provide a natural home to the personal resources of counselees who value spirituality or religion in their lives. Properly understood, spiritual values are some of the more profound aspects of many people’s lives and a focal point to their getting out of bed in the morning. Furthermore, faith and spirituality can be helpful in moving reticent clients to action (Jason A. Nieuwsma, Robyn D. Walser and Steven C. Hayes, 2016). Juanita just knows that she is anxious around people. She may not be aware that this is the flipside of desiring to have close relationships. As her counselor, you walk with her to help her recognize that intimacy is one of her core values and being around potential friends or lovers is a necessary step. She now realizes how her avoidance works against what she really wants, and she grasps that she wants intimacy more than freedom from anxiety. She develops a plan with you for attending a social event at work. Together, you and Juanita develop strategies to increase her motivation, including visualizing a friendship that comes out of the party. You troubleshoot how she will feel along the way and how to use the other skills as she willingly walks through the anxiety that awaits her. Together, you plan a celebration of her success at the next session. The ACT model is a learning process. Clinicians will grow to use the six skills of psychological flexibility not only in counseling, but also in their personal lives. The growth I have personally experienced in learning ACT is one of my favorite things about it. My present moment awareness tells me how superficial this survey of ACT is, but I hope that this brief article activates your values of learning and trying new things, and that you will read up on ACT (a few resources are listed below), attend a workshop and test some of the techniques discussed here. 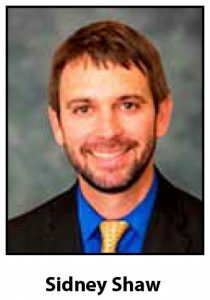 Timothy A. Sisemore is director of research and professor of counseling at Richmont Graduate University. Contact him at tsisemore@richmont.edu. Privilege is invisible to those who have it.” This pithy statement from sociologist Michael Kimmel reflects the state of research on privilege and also calls attention to the importance of counselors raising self-awareness about how privilege affects their work. A general consensus exists among counselors that they need to be aware of their own privilege and need to be multiculturally competent. These aims can be rendered inert, however, in the absence of a conceptual framework and process that guide counselors to embody cultural responsiveness within counseling sessions. Although the value of the MCCs in terms of counselor development is evident from research and counselor support, they have limitations related to counseling outcomes and the interpersonal process that unfolds between the counselor and the client in sessions. Specifically, outcome research connected to the MCCs has been based largely on counselors’ self-reports of their own levels of multicultural competence. Such evaluations suffer from self-assessment bias and do not capture the client’s experience. The few studies that have examined counselor multicultural competence from both the counselor’s and the client’s perspective have found that counselors typically view their own multicultural counseling competence much higher than clients view the counselor’s multicultural counseling competence. In other words, counselors often have an inflated view of their own multicultural competence in comparison with the client’s view. This gap in perceived competence is concerning, in part because counselors’ beliefs about their general level of multicultural competence influence their behavior. Specifically, when counselors think they are high in multicultural counseling competence, they are less likely to put effort toward growing in this domain. Likewise, they are less attuned to responses from clients that might indicate the counselors are not as multiculturally competent as they think. Although the MCCs are useful for counselor development and self-evaluation, a more process-oriented framework is needed to address in-session multicultural processes and counselor multicultural competence from the perspective of the client. With this in mind, multicultural orientation (MCO) offers an empirically supported model for counselors to understand how individual clients experience the multicultural dimension of counseling in the sessions. This article describes a framework for counselors to increase their multicultural counseling effectiveness, privilege the voice of clients and make the counselor’s own invisible privilege a little more visible. MCO consists of two major domains: the client’s perception of the counselor’s level of cultural humility, and the degree to which the counselor addresses culture and cultural opportunities in the session. In the words of Joshua Hook and colleagues, cultural humility refers to the counselor’s “ability to maintain an interpersonal stance that is other-oriented (or open to the other) in relation to aspects of cultural identity that are most important to the client.” Cultural humility contains intrapersonal and interpersonal dimensions. Intrapersonally, cultural humility encompasses counselors’ openness to accepting that their own cultural identities and experiences will limit their perspective and awareness in understanding the cultural experiences of others. The interpersonal dimension of cultural humility involves an “other-oriented” stance that includes openness, respect, consideration, humility and interest regarding the client’s cultural identity and experiences. Cultural opportunities refer to moments in counseling sessions when counselors are presented with opportunities to address and focus on the client’s cultural identity. For example, a cultural opportunity may emerge in a session when a client of a marginalized racial group discusses depression that is linked to being treated unjustly in the workplace. This presents an opportunity for the counselor to explore potential discrimination and the client’s cultural identity. An essential feature of MCO is that it is rooted in the client’s perspective. Specifically, counselors need to understand the degree to which the client perceives the counselor to be expressing cultural humility and the degree to which the client thinks the counselor seized on or missed cultural opportunities in the session. Despite several decades of calls for counselors to develop multicultural competence, scant research exists to demonstrate that counselors’ self-rated multicultural competence is related to counseling outcomes. This is partly because counselors’ self-evaluations of their multicultural competence, while important for self-reflection and understanding and guiding counselor development, do not address clients’ views of their counselors’ competence levels. Emerging research on MCO demonstrates that adopting an interpersonal stance that is focused on cultural opportunities and cultural humility has a positive effect on client outcomes and offers a practical framework for cultural engagement with clients in sessions. Research in 2016 by Jesse Owen and colleagues found that cultural opportunities had a significant influence on client outcomes. Specifically, researchers examined the perspectives of racial and ethnic minority clients on “missed cultural opportunities” in sessions and the relationship of these missed opportunities to client outcome. Missed cultural opportunities were evaluated by client report on a scale to assess the degree to which the counselor missed opportunities to discuss important cultural factors in the session. Findings revealed that client improvement and increased wellness at the end of counseling were strongly negatively correlated with missed cultural opportunities. That is to say, as missed cultural opportunities increased, client improvement decreased. Clients experienced better outcomes in counseling when they perceived that their counselor responded to in-session opportunities to address cultural factors. These opportunities are the moments in session when counselors either engage in a culturally responsive way with clients regarding their cultural identity or they miss the opportunity. In addition, several studies have demonstrated the positive effects of cultural humility on the therapeutic alliance and client outcomes. Instead of assuming that they are high in multicultural competence based on their own self-evaluations, counselors who are high in cultural humility typically engage in collaborative, open exploration with clients regarding their cultural identity as a salient factor in treatment. Indeed, two recent studies by Owen and colleagues found a strong positive correlation between the client’s perspective of the counselor’s level of cultural humility and client outcomes. Essentially, when clients viewed their counselors as high in cultural humility, those clients experienced much more improvement in counseling than did clients who viewed their counselors as lower in cultural humility. Cultural humility also mitigates the impact of missed cultural opportunities. Put another way, when counselors miss important cultural opportunities in the session, the negative effects of these missed opportunities on client outcome are neutralized if clients see their counselors as being high in cultural humility. Understanding the role of culture in counseling is a challenging and multifaceted endeavor. Despite the complexities, some distinct themes have emerged regarding the benefits of MCO when significant counselor-client cultural differences are present. Microinsults and microinvalidations generally fall outside of the perpetrator’s conscious awareness. People of privilege frequently view these microaggressions as banal, trivial and not a source of harm for the recipient. However, in addition to promoting stereotypes, microaggressions often cause frustration, anger, low self-esteem and physical health problems for recipients. Although counselors take multicultural counseling courses in which they explore their own biases, research indicates that counselors commonly and unwittingly commit microaggressions toward minority clients. At least four published empirical studies in the past 10 years have examined the role of microaggressions in counseling. Microaggressions have been found to be associated with weaker working alliances, fewer sessions attended and poorer counseling outcomes. The percentage of racial and ethnic minority clients who reported experiencing microaggressions in counseling in these studies ranged from 53 percent to 81 percent. The most common microaggressions committed by counselors included declarations of colorblindness, avoidance of discussion of cultural issues and denial of their own prejudices. Mental health professionals commonly commit in-session microaggressions, despite generally having good intentions. Privileged counselors are unlikely to notice when they commit microaggressions in counseling and frequently lack awareness of the untoward effects of these subtle slights. Several important research findings are instructive regarding in-session microaggressions. Namely, counselors who are viewed by clients as being culturally humble commit fewer microaggressions than do counselors who are viewed as lower in cultural humility. Additionally, when counselors who are high in cultural humility (as viewed by the client) do commit microaggressions, the negative impact of these microaggressions is lessened. A separate study found that the negative effects of microaggressions were mediated when the counselor addressed and discussed the microaggression that occurred. Thus, cultivating cultural humility can help counselors reduce the frequency and impact of inadvertently committing microaggressions and learn to recognize, discuss and attempt to repair microaggressions that they do commit. Such statements may reflect cultural norms and general group characteristics, but dynamic sizing entails the counselor’s ability to know when and how to generalize cultural information about a client in a way that applies to the individual and is not simply stereotyping. My own experience working in Alaska Native health clinics was illuminating in this regard. Specifically, two Alaska Native clients independently pointed out to me that they believed the “direct eye contact is disrespectful” concept was a residual effect of their ancestors being taught to be submissive by white colonizers. Thus, they did not endorse avoidance of direct eye contact in sessions and explicitly preferred more maintained eye contact with me than did some other Alaska Native clients. MCO provides a conceptual framework that promotes dynamic sizing because it takes an interpersonal stance that focuses on elements of cultural identity and cultural opportunities in the counseling session that are deemed salient by the client. Specifically, MCO guides counselors to understand cultural norms and characteristics but not to view these elements as fixed variables. Instead, this interpersonal stance promotes understanding how culture informs each client’s life from the client’s perspective. Counselors with privileged identities are often unaware of the impacts a lack of privilege can have on marginalized and oppressed populations. In counseling sessions, this privilege frequently manifests through unconscious biases. Well-meaning counselors frequently do not recognize when unconscious biases or microaggressions occur because these are, by definition, unconscious. Given this reality, it is important that counselors create a culture of feedback. This involves providing space for clients to feel safe and open to explore topics such as discrimination, systemic inequality, microaggressions and their lived experiences of marginalization. More to the point, the MCO model pushes counselors to embrace the fact that these manifestations of inequality (discrimination, microaggressions, etc.) are not something that clients experience only “out there” in the world. These manifestations frequently occur in counseling sessions too. Even well-intended, thoughtful counselors can inadvertently commit microaggressions, engage in stereotyping or exhibit poor cultural awareness, thus setting back or severing the therapeutic bond with clients. MCO helps counselors create a climate of trust and safety in which they can engage clients in difficult dialogues to better understand their perspective. The MCCs and MCO share some broad, overlapping aims of increasing culturally responsive counseling services, reducing disparities and their negative effects, increasing counselor awareness of their biases and reducing these biases. Both models point toward a few central (but certainly not exhaustive) steps to take outside of counseling sessions to increase counselors’ overall multicultural competence. In addition, MCO emphasizes what counselors can do within sessions to increase their overall multicultural competence. Assess your level of multicultural competence by honestly completing the Multicultural Competencies Self-Assessment Survey (MCSA) developed by Manivong Ratts. Follow a four-step process toward increasing multicultural competence based on the MCSA. These steps involve assessing your areas of need, defining objectives based on what you learned from the MCSA, designing a plan to meet the objectives and evaluating your success. Engage in intentional cultural self-exploration related to counselor development. For instance, address questions such as: How does my cultural identity and privilege limit my ability to see or understand lack of privilege and marginalization? What are my gut reactions to clients who have different cultural backgrounds than my own? How do I create space for or welcome clients to explore their cultural identities? How open am I to my clients’ feedback about my level of cultural competence and cultural responsiveness? Educate yourself about microaggressions, including the types that counselors commonly commit. Because microaggressions are the behavioral manifestation of beliefs and attitudes, the process is not as simple as telling oneself not to commit microaggressions. However, when practiced in conjunction with evaluating your own privilege, learning about marginalized populations and taking a stance of cultural humility, you can improve your skills in noticing microaggressions and making the necessary repairs. Don’t conflate biases or committing microaggressions with being a bad person or a bad counselor. Like everyone else, counselors absorb and internalize cultural messages and stereotypes communicated through the media and broader culture. Accepting your own imperfection around cultural biases is essential to maintaining a growth mindset, developing cultural humility and benefiting from a new awareness that emerges over time. Denying your own biases and microaggressions will cause them to persist. Read some peer-reviewed articles and engage in ongoing professional development regarding MCO, the MCCs, cultural humility and microaggressions in sessions. Although the MCCs and MCO share general aims, their paths to increasing multicultural competence are quite different. In many ways, they are complementary. The MCCs guide counselors toward developing specific knowledge, skills and awareness through personal work done outside of counseling sessions. For example, the MCCs provide counselors a framework for examining their biases, exploring the influence of their own cultural identities, assessing their multicultural competence for areas of strength and weakness, and developing culturally responsive intervention skills. However, the final word on the overall cultural competence of a counselor rests in the perspective of each specific client. In other words, “Does this client experience me as culturally competent?” As found repeatedly in the counseling research, the client’s perspective on a number of important elements of counseling is often more strongly associated with counseling outcomes than is the counselor’s perspective. This holds true for core predictors of outcome such as empathy, the therapeutic alliance and multicultural competence/responsiveness. Thus, putting MCO into practice involves establishing an interpersonal stance of cultural humility and a willingness to explore cultural opportunities that are relevant to the client. With this in mind, some in-session recommendations follow. Reconceptualize your multicultural competence to include an emphasis on privilege and power in relationships, especially regarding their effects in the therapeutic relationship. Counselors often think through the lenses of their theoretical orientations in sessions (existential, cognitive behavior therapy, Gestalt, etc.). Work toward adding culture and privilege to the lenses that you intentionally consider in sessions. Acknowledge your biases or the microaggressions you commit in session, either when you notice them yourself or when your clients point them out. Clients might point these out indirectly, so be sensitive to nonverbal or subtle verbal cues that indicate the client may feel devalued in some way. If you think you might have committed a microaggression in the session but are not sure, check with the client. Depending on the level of severity, this might involve a simple question to the client about your concern regarding something you said or did. In the case of more egregious microaggressions, you might need to discuss it with the client in more detail and apologize for your lack of awareness. 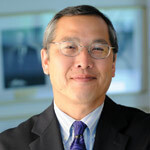 MCO cannot be scripted or manualized, but its central features include communicating respect, practicing humility, being receptive to acknowledging one’s own biases when they occur and practicing culturally inclusive engagement that resonates with clients. An essential element of cultural humility is nondefensiveness around one’s own lack of awareness or demonstrations of incompetence. Thus, before encouraging client feedback, counselors need to be clear about how willing and able they are to receive this feedback with humility. Cultural competence is not adequately defined by counselors’ self-perceptions of competence. Rather, it is determined by how their clients — especially marginalized clients — view the counselors’ capacity and willingness to understand the cultural forces that influence clients’ lives. Comprehending clients’ subjective cultural experiences and acknowledging our own cultural blind spots in the process are central to cultural humility. This interpersonal stance can help counselors improve client outcomes, honor the cultural experiences of clients and clarify the effects of counselors’ own privilege. Sidney Shaw is a core faculty member in the clinical mental health counseling program at Walden University, a certified trainer for the International Center for Clinical Excellence and a workshop presenter. Additional information on multicultural counseling and other counseling topics is available at sidneyleeshaw.wordpress.com. Contact him at sidneyleeshaw@gmail.com. Happy New Year! I wish you a prosperous, healthy and productive 2017. My hope is that the year will be one of renewed compassion, caring and reflection. To say that we are in interesting times is an understatement. Changes in the American political landscape, the Brexit vote in the United Kingdom and the ongoing strife in areas of the Middle East where millions of innocent people are facing unimaginable horrors are just a few examples of these unchartered waters. Your American Counseling Association staff and the volunteer leadership begin the year with a commitment to do an even better job for you. After receiving feedback from many of you and doing research into being a more strategic organization, ACA is positioned to meet many of the needs of our membership. Here are a few of the issues we will be focusing on in the new year. License portability: Licensed professional counselors (LPCs) who have met certain standards should be able to move to another state and begin working again without the significant burden of retaking courses or obtaining hundreds of hours of supervision. LPCs who are educated, trained and experienced and have no ethical violations on their records are already qualified. They should not face the obstacles of unneeded state regulations. Currently, three major portability models are being considered — two that have been crafted by four major counseling organizations, and one that is being promoted by an organization composed of some state licensure board members. My hope is that consensus on a model will be reached early this year so that we will have the best chance of providing LPCs the ability to practice in whatever jurisdiction they choose to live. State legislation: Even though Republicans control both the White House and Congress, this first year of a new administration is likely to feature growing pains as they figure out how to craft an agenda on which they all can agree. With that being the case, many regulations and laws being proposed at the state level of government may have an even bigger impact on professional counselors. ACA has doubled the size of its government affairs staff over the past five years so that we can enhance our focus on state-level issues and the development of grass-roots communications. This past year, the state of Tennessee enacted a law allowing counselors to deny services to whomever they wish — a move that directly contradicts the ACA Code of Ethics. This year, a bill has been introduced that would prohibit Tennessee’s counselor licensure board from using any “outside” code of ethics. In fact, this bill specifically names the ACA Code of Ethics as one that the board would no longer be allowed to use. The ACA Code of Ethics has stood the test of time, having been in operation for more than five decades, and is grounded in research and exemplary practice. Given the protections that our ethics code provides consumers of mental health services, we will continue to insist that all ACA members abide by it. Professional development opportunities: In March, thousands of professional counselors, counselor educators and graduate students will come together in San Francisco for the 65th ACA Conference. We have designed the conference to meet the needs of today’s professional counselor, while also providing opportunities for those who will carry the profession into the latter half of the 21st century. Focusing on our coming together as a profession (and in one of the most beautiful cities in the world), the conference will feature more than 400 educational sessions, an enhanced career center and some incredibly meaningful dialogue about what it means to be a professional counselor in today’s society. In June, we will host our first ever Illuminate conference in Washington, D.C. At this event, participants will be presented with an incredible list of workshops, keynote speakers and panel discussions about the challenges (and opportunities) of working with the LGBTQ community. Happy New Year, counseling colleagues! If you’ve celebrated a holiday lately, I hope you enjoyed peace, joy, reflection and rest. As we begin this new year, it comes to mind that counselors are likely to face challenges in their work, and in their fortitude and resolve, that may be different from in past years. I want to preface this with the assurance that my message here isn’t one attached to any political preference. Rather, it is meant to shine a light on reality by offering information and insight about the challenges counselors are facing. This past spring, the American Counseling Association Governing Council made the wrenching decision to move our 2017 national conference from Nashville to San Francisco. That decision was the result of a bill passed by the Tennessee Legislature, and signed into law by the state’s governor, that is discriminatory in nature, targeting the LGBTQ community and challenging the 2014 ACA Code of Ethics. The ACA Governing Council determined to vary our plan, make a statement and hope that the cultural and social justice divide we were seeing would heal and that these discriminatory laws would begin to subside. Unfortunately, that doesn’t appear to be the case. As we greet 2017, more legislation that is discriminatory in nature is on the way from multiple states. These pieces of legislation would attempt to limit counselors and constituents with no basis in logic or justice. It is troubling to say the least, and if we do not stand up and stand tall together, we run the risk of harm coming to many individuals and groups. The harm I am referencing here includes the lowering of self-esteem, the loss of hope and the unmitigated fear that diverse individuals and groups experience when they are targeted or threatened, or when access to services is withheld from them. As counselors, we offer unconditional positive regard, empathy, solace and safety. But how can we offer these things if certain clients and students cannot access us within an atmosphere of acceptance and advocacy? That is what is being threatened. The more that discriminatory, hate-driven legislation is introduced in multiple states, the more it weakens all of us. We must protect the cherished identity of “counselor” that we hold up, hold on to and for which we have fought. I have had the honor of speaking at a number of state conferences over the past five months, including in states where such legislation was introduced and either beaten down or signed into law, such as in Mississippi and Tennessee. As I look out at theses audiences, it strikes me that the counselors with whom I am speaking are open, accepting and, perhaps, uncomfortable or unsure. Counselors are not the authors of these legislative initiatives that are limiting, fear producing or driven by hate. It is quite an experience for me to walk through an exhibit hall and have many participants stop me to remark how glad they are to see the ACA president there in their state. It lets them know that ACA is aware of the hurt that is seeping through the profession, more slowly in some places than in others. It is time to live our identity, to say “no” and to be vigilant when something discriminatory or noninclusive appears on our radar. It is time to talk with one another. Attending the ACA 2017 Conference & Expo is especially important. There is power in numbers and in passion, and the gathering in San Francisco will be an outstanding venue for meeting, engaging in discussions and planning how best to advocate for what I hope will be a courageous and hopeful step in defeating anything that is discriminatory or limiting in nature. Two examples of topics at the conference that may pique your interest: “Common Experiences, Diverse Identities: A Life Span Approach to Counseling in the LGBT Community,” presented by the leaders of the task group that has been designing this approach since August; and “Left Out in the Hallway: Achieving Equity and Increasing Success for LGBTQ and African American Community College Students,” presented by Margaret O’Hara, president of the California Association for Licensed Professional Clinical Counselors. And there will be so many more. The key to our strength and advocacy is YOU. Please join us!